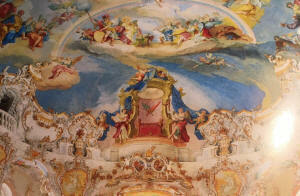 During our ski fortnight in Stubaital, as we always do, we took a day off for a cultural tour. 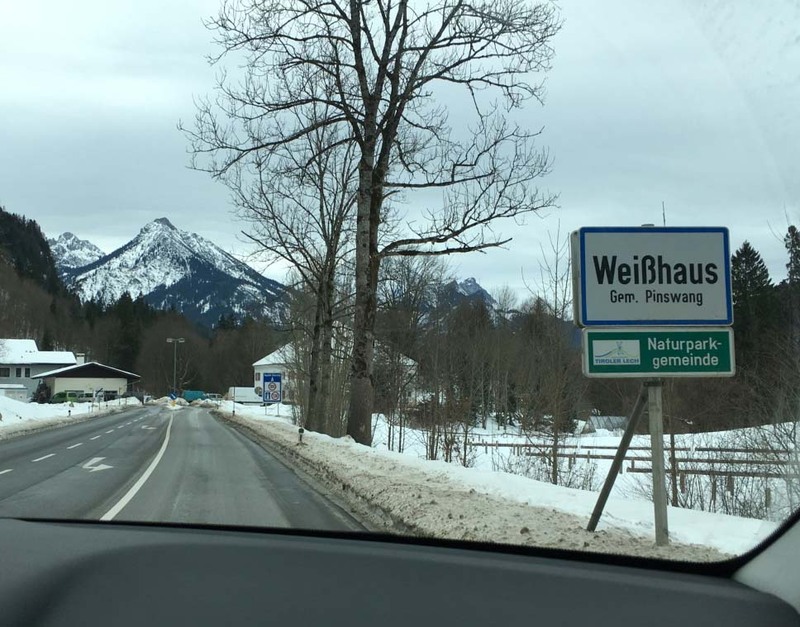 Driving north we first arrived in Füssen. It is an old Roman Road that starts in Germany and goes all the way down to the Po valley. 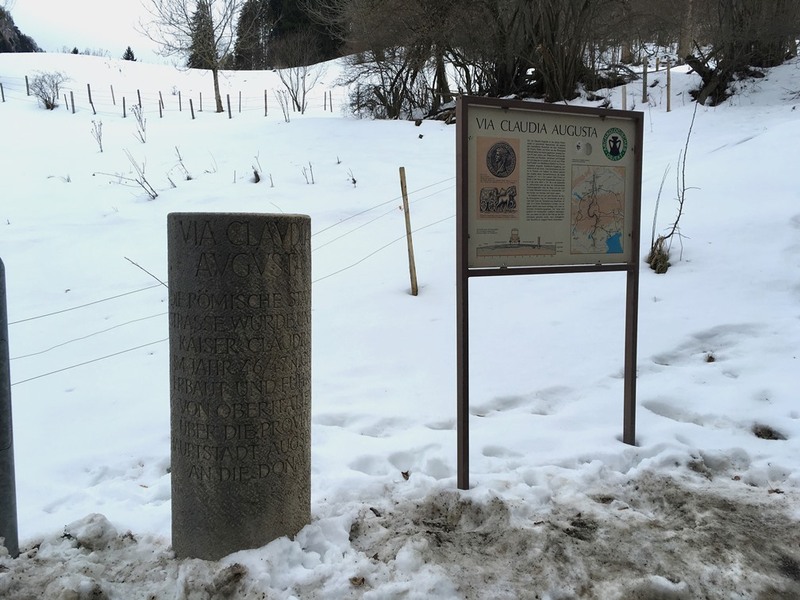 At this spot is also Lech Falls and a bust of His Majesty King Maximilian II of Bayern [Ludwig II's papa] overlooking the falls. A lovely mountain spot where the two castles of Ludwig II of Bavaria are situated. Ludwig became king in1864 when he was 19. He was a shy, romantic, gay man who found solace in the past. He romantically looked back to the Middle Ages and Ancien Régime [best proof of which is in Linderhof Palace] at a time when nationalism was in the rise and Unification of Germany was about to happen. His real interests were art, music and architecture. Hohenschwangau was a castle built in the 12th century. it was destroyed by Napoleon and rebuilt by Ludwig's father. 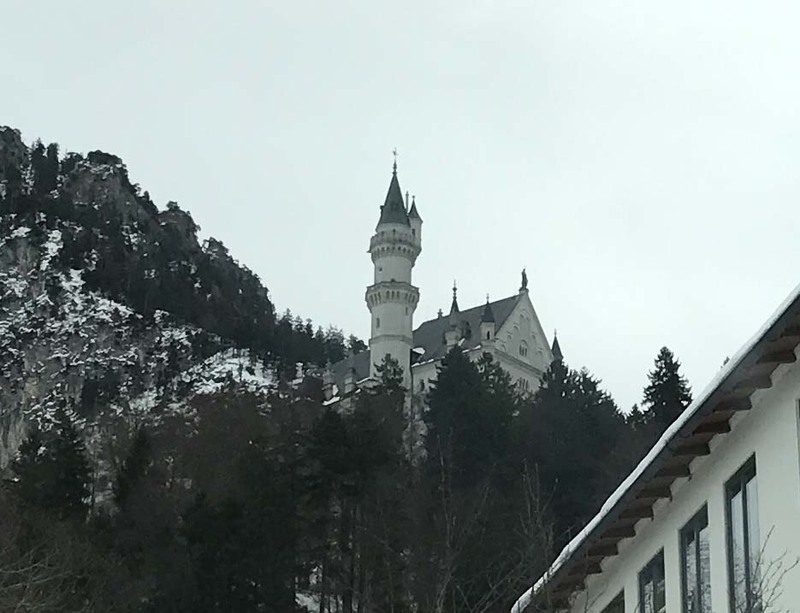 Neuschwanstein was his dream come true. He had it built according to his imagination of a castle in the Middle Ages. After the unification of Germany he became a constitutional monarch. Ludwig was king for 23 years. In 1886, royal commissioners declared him mentally unfit to rule Bavaria. A short while later he was dead. It still is not clear if it was suicide or an assassination. On our way out from Schwangau we saw this beautiful church sitting all alone (like Ludwig) in a meadow. Unfortunately the doors were locked and we couldn't visit it. Built in a very secluded location is a pilgrimage destination and a UNESCO World Heritage Site.